The Borsang village is pleasant daytrip destination from Chiang Mai in Thailand. In this small village are many manufactures and companies for handicraft products like Asian umbrellas, Thai Silk, Silver Art, Jade sculptures and many more. 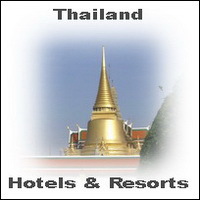 Bor Sang is easy to reach by taxi or Bus from the bus station in Chiang Mai city. At the manufactures you can see how the workers make from cocoon’s beautiful Thai Silk products like Suites, Bedcovers… At the umbrella company you can see how the locals produce from bamboo and other natural basic materials nice Southeast Asian umbrellas in many different colors and designs. All here is handwork from Asia. 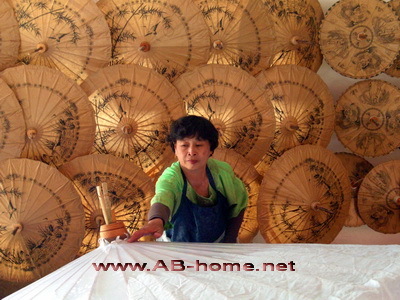 After you inspected the production you can buy in a huge sell rooms handicrafts products like umbrella’s from Bor Sang direct from the producer, the variety of the handmade goods are amazing and the prices are ok. If you forget your money in your Hotel you will have a second chance of one of Chiangmai’s handcraft markets to buy the products. After your shopping trip you can relax by a cup of coffee or tea. Nearly every company here in Borsang near Chiang Mai in Thailand has a small beverage shop in front of the handcraft production. The visit here at this village in Thailand was very interesting and I can recommend this trip to all tourists who are interested in local artwork.